Given the uncertainty and instability of today’s economic climate, the importance of analysis prior to market entry has never been so important. 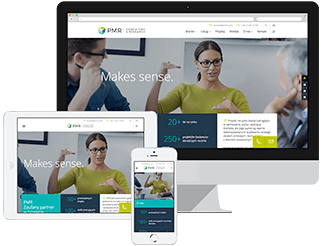 PMR Consulting helps you make informed decisions by providing a comprehensive overview of the market, making it possible for you to identify niche opportunities and determine growth prospects. Thanks to our intimate knowledge of local markets, we’ll also identify potential barriers and formal restrictions to entry. What is the business potential for my company in CEE, SEE or CIS markets? How will my company fit within the competitive landscape of the region? What are the most feasible and attractive ways of entering the region? If your company is interested in entering the Central, Eastern or Southern European regions, PMR Consulting offers a wide range of advisory services, ranging from general market intelligence and feasibility assessments of expansion plans, to drafting regional business placement and development strategies. We prepare a short review of whether it is sensible for your company to be present in your target Central, Eastern or Southern European country. We ask the fundamental question “Can you make money here?”. This approach generates a brief overview of the market structure and major demand stimulators, major market players, pricing strategies and tariffs. All of the findings are channelled into the process of calculating the likelihood of you successfully realising your ambitions. Our ultimate goal is to support our clients in maximising return on investment (ROI) and ensuring they can make informed decisions about their expansion plans. If requested, we will include recommendations for your entry strategy into the CEE, SEE or CIS market or markets in question. What’s more, PMR Consulting has extensive experience of conducting consulting projects in multiple countries at the same time, which means we are able to help those clients seeking to analyse or enter entire regions at a time. PMR Consulting clients benefit from our unrivalled understanding of CEE, SEE and CIS markets. Thanks to our extensive experience in these regions, we understand the markets, their drivers, the competitive landscape, opportunities and potential threats. All of this expertise is harnessed to put your company in the best possible position to achieve its goals, maximise return on investment, and at the same time, identify, avoid and mitigate the risks involved in pursuing your strategic objectives. PMR represents the channelling of almost twenty years of consulting experience and best practice into a market intelligence. We are one of the first companies in Central and Eastern Europe (CEE) to offer professional consultancy for the businesses interested in expanding in the region.